Be it your little cartoon-lover couch potato who ignorantly invited the stubborn popcorn-oil stains on your favourite sofa covers, or your spouse who accidentally brought those stubborn grease spots on his shirt sleeves and jeans as special guests to be treated by you or even you invited those oil stains on your lovely floral skirt while cooking butter chicken for a finger-licking dinner, they all have undoubtful trust that you will force the stains out with your magical powers ! Only you know how hard and difficult it is to remove those stubborn set-in grease and oil stains when they stick and absorb hard into the fibers when not freshly removed. The most common things which come to mind and are handy at these times might be Bleach, Newspaper or Lemon peels. Was it exactly what you imagined to sought to? Wait a minute! Make sure you do not fall trap to these cleaning myths. These tried-on ways over years can only give you dull clothes with faded patches on the affected stain areas. Stains should be removed immediately. Identification of the nature of the stain is very vital. Dilution of chemical is important to retain the texture of the fabric. Cold water is to be used first if the nature of stain is unknown and if it still persists, should be bleached or treated with hot water. Acidic contents should be treated in alkaline medium. After removal of stains, clothes should be washed to ensure removal of chemicals used. Fastness of the color should be checked before treating the clothes with chemicals. Inflammable chemicals like petrol, kerosene should be avoided in the stain-treatment procedure. All Stains Removal Techniques should be applied prior to laundry. Stains that have been laundered and dried are most impossible to be removed! Bleach – Bleaching agent is only a disinfectant which can kill germs and bacteria but it will only leave a faded patch and may not be a good choice to use it to remove grease or oil stains. Newspaper – Common myth is that if you run a warm iron with newspaper on the affected patch area, it will absorb the monster out of the rugs and its done! But sorry for cleaning-bubble burst, it is not this simple. Lemon peels – They are only good to be sprinkled little on your salads or to be used in Mojitos, but expecting stain-free Tee-shirt applying lemon drops on stains would only leave you wondering how to remove the left-over shady patch which would render it not to be worn again. Hair Spray – The use of hairspray to remove ink stains can only compound the stain on the garment. They were used in yesteryears because the alcohol content would effectively attack the stain but today’s hairspray may not have alcohol content at all! Adding Coffee to retain colors – Hold yourself back from believing in another myth of adding coffee to rinse water in order to retain the dark color of the jeans or to keep them black. Coffee can only color fabric but will not act as a catalyzer in retaining the black color! Use more detergent for cleaner clothing – The more the merrier. It does not always apply. Excessive detergent will only leave suds deposit in the clothing even after a wash! An excess amount of liquid wash in the front load washer will only leave the machine smell. But now, you can prove yourself SuperMom (yah yah , or SuperDad) to your loved ones and bid “Good-Bye” to the stains even after drying by following these simple ways courtesy DIY. 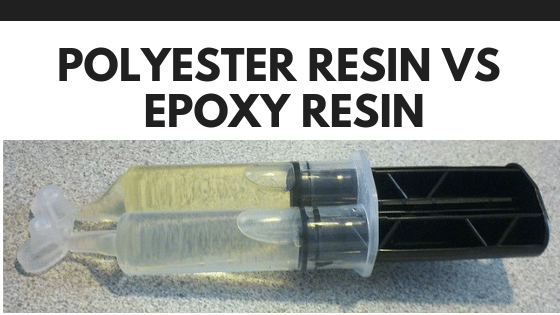 This product has earned a reputation as a best-sought option for removal of tough stains as it harnesses the power of oxygen to get them out of the fibers without spoiling the color or texture of the fabric. Just fill the scoop till the second line per gallon of water, soak the stained clothes in the solution and leave it for 1-5 hours depending on the severity of the stains. Then, wash as normal and the stain vanishes! Visit www.oxiclean.com for videos narrations. It can also remove ink stains and other motor oil, cooking oil, Chapstick stains and works magically on all types of cotton shirts, polo shirts, tee-shirts without the need to give them for laundry-wash. 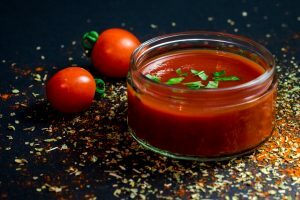 This DIY technique can be the best sought-out way when you are on a verge of feeling that that stubborn set-in lipstick, lip liner or mascara patches will never vanish from your favorite dress. Mix the Dawn dish soap and Hydrogen Peroxide in 1:2 ratio. Make a paste by adding 2 tablespoons of baking soda in a jar. Add baking soda or peroxide if the paste is too loose or too thick accordingly. Apply the paste generously on the stained area on either side and leave the cloth as is for some time, maybe an hour or so. Before putting in the dryer, check the cloth to ensure that the monster is gone! Keep smiling. The couch potato is now been playing in the grass all afternoon and spoilt the jeans with tough stains? No worries. 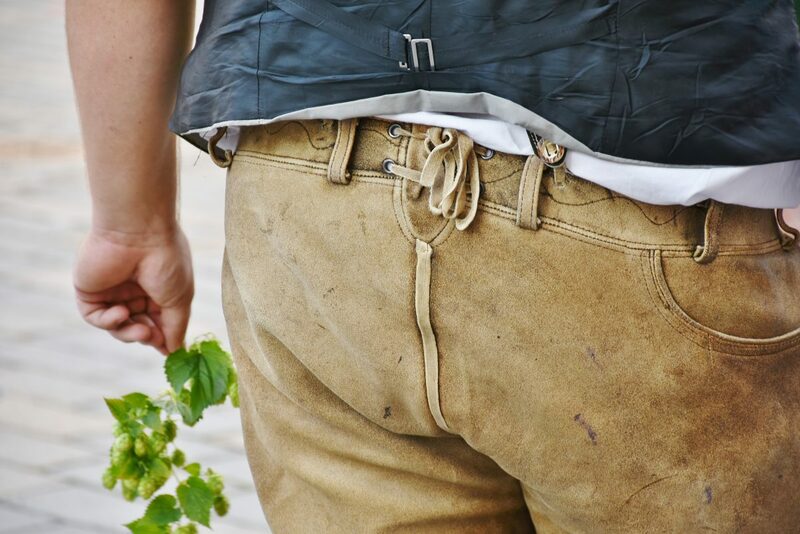 Although grass leaves much tougher stains like those of red wine, dark brown chocolates on white casuals, they can be removed by a sprinkle of Vinegar and a gentle rubbing will pull out the stains out from the depth. It’s like they haven’t played to their satisfaction if the kids do not come home with their white school uniforms soaked in dried-hard mud. This is the first thing you see as soon as you open the door when the doorbell rings and the horn of school bus fades away. First, resist your urge to wash off the mud stains when they are wet as it would only lead to smearing it all around making the stains giant. Just brush off the mud and try it with a surfactant. If the stain persists, applying some detergent will remove any left-overs. Those red spots of ketchup linger in the mind all the way returning from a picnic or a day out on the weekend? Keep cool and simply follow the professional tips from Lauren Haynes, cleaning expert from Star Domestic Cleaners. Mix a tablespoon of liquid dishwashing detergent in 2 cups of cold water. Gently apply the solution with a white cloth on the ketchup stain affected area. Blot with a clean cloth so that liquid is absorbed. If the stain still persists, an attempt to apply peroxide can also be tried. Repeat until the stain vanishes! Dye stains can impose greater challenge as their contrast colors make it even worse for the stain removal procedure. Carefully examine the nature of the wash of the fabric from its label. Follow these steps to remove Dye stain from light colored fabric. Add little OMO Handwash Powder to hot water. Soak the affected clothing in it for a few hours. Rinse the fabric gently and leave the clothing to soak in the solution for a few hours. Wash using OMO Ultra Capsules if the stains are tough. Repeat the above steps is the stain is not completely removed. If there is a Toddler in your home, then the stains from Baby Food, spit-ups, Protein stains, Baby Oil stains on the clothes come naturally. The most lustrous paintings of kids painted on the canvas with their whole world of colorful imaginations come at the cost of set-in, dried stains of hard paint colors. And you are in a fix as to first appreciate the creativity or quickly resort to the stain removal technique! Yes, the stains due to paint colors can throw the most difficult challenge to be accomplished. But believe me, it’s not impossible. You can start by removing as much of the paint with a paper towel or scrape the dry paint off with a dull object like a spoon or maybe a knife. If the paint is oil-based, then remember to pre-treat the stain with Turpentine first, rinse and then launder. If it is water-based paint, simply rinse the stain in lukewarm water and then wash the garment as usual. Follow these stain removal techniques to get perfect stain-free clothing. First, Brush off any spit-ups or any sticky food or leftovers. Then, depending on the type of stain, use an appropriate cleaner to get the best results. For Protein stains, leaky diapers and spit-ups, apply a small amount of Wisk Laundry Detergent or Era Plus on the affected area. The enzyme cleaner will digest the protein of the stain. It the stains still persist, apply little All-purpose Stain removers such as Shout or Spray N wash.
To remove oily and greasy stains including baby oils, creams, and Petroleum jellies, apply Corn-starch or Talcum Powder to absorb the oil. After 15-20, mins, brush off all the powder and apply regular detergent for normal laundry. Treat these stains with hot water and detergent solution and most importantly, treat them from both sides of the fabric to push the stubborn stain out. Always in a hurry, kids hardly have time to spend at the breakfast table. They spill something or the other. 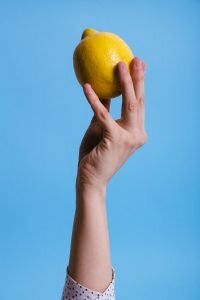 The dried stains of fruits, jams, juices, veggies can be really hard to remove, but with some techniques, they too can also be easily wiped off. To treat such stains, prepare a solution of vinegar and water in 1:2 proportion and apply it on the stains. Allow it as is for some time, for say 10 minutes. Then wash it applying a normal detergent and toss it off into the washing machine. However stubborn the stains might be, understanding of the nature and proper selection of treating agent can make the job easy. 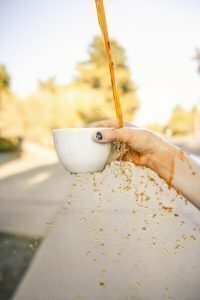 With the detergent industry continuously popping up with new effective products and modern techniques, it’s very easy to conquer these stains off. Some stains are superficial in nature while others, when dried, get absorbed inside the fibers and are difficult to be treated. The choice of the chemical and hence the treatment becomes important so as to retain the texture and fabric of the clothing. The normal not-so-hard-to-remove stains of eatables, fluids or during meals, etc. can be easily removed by following simple and easy steps using handy techniques of application of vinegar in combination with peroxide. Most of the set-in and dried grease and oil stains, baby food stains, stains by spill of tomato ketchup or fruits, veggies, dye and grass stains, mud stains can be treated with the wise selection of proper pre-treatment agent in combination with the actual treating agent marketed by standard companies like OxiClean, Vanish etc. Now, if your kids love to eat chocolates or berries, let them enjoy to the fullest without having to worry about the stains. Let them play in the playgrounds and litter and splash in muddy waters or mess around in clay. Let your spouse stain the shirt with grease or oil while repairing the car or stain the trouser working in the garden or let the ink stains by his blue ink pen in the pocket give you a cunning smile to challenge you. You are there to conquer with your stain solutions to nearly anything they’ve spilled, squirted, slopped or smeared and the most stubborn of the stains, right? Author Karen MilwellPosted on April 10, 2019 Categories DIYLeave a comment on How to get grease and oil stains out of clothes after drying ? Owning a house comes with the responsibility of taking care of it. Buildings, especially older ones tend to develop cracks here and there, the basement walls crumbling and the driveway all falling apart; all which needs immediate attention. 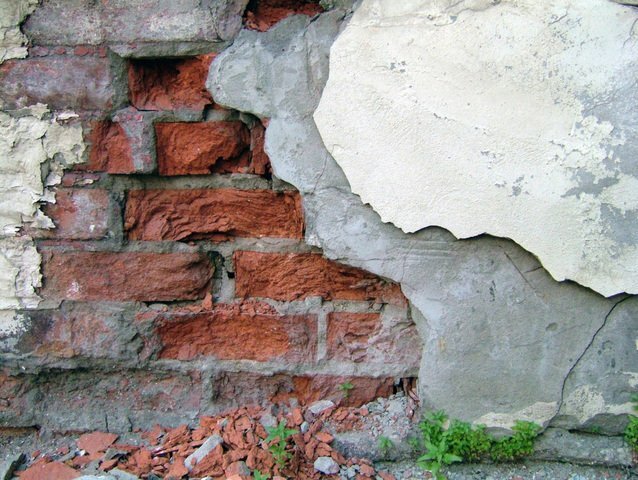 Author Karen MilwellPosted on March 10, 2019 Categories DIY, Home maintenanceLeave a comment on How to repair a crumbling concrete wall? 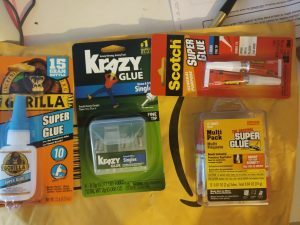 It all started after a friendly fight in my neighbor’s workshop where he said that Gorilla glue is the only quick dry glue he ever needs while I claimed that the original super glue is good enough for my amateur needs. 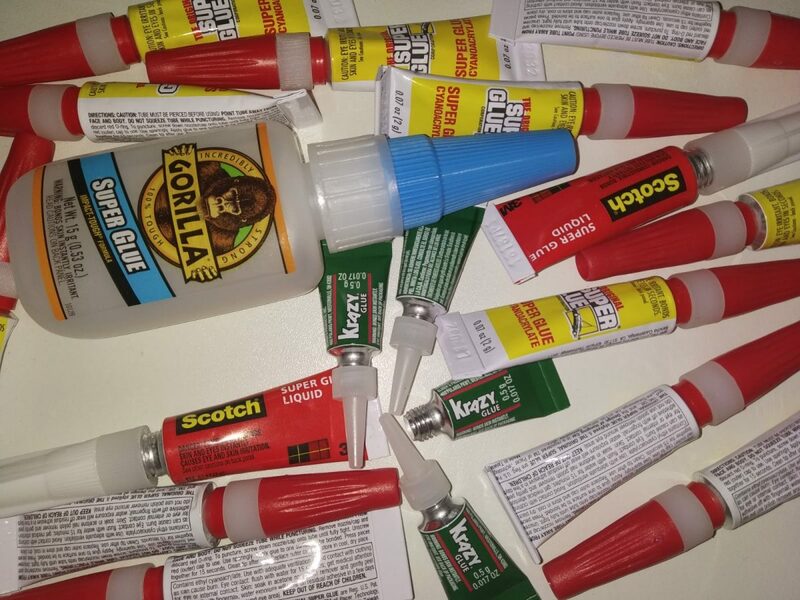 For the fun of it, we added Krazy glue and scotch as well. The next step was to agree on a set of tests that will determine which one is better, remember that we are not experts and we definitely do not have a fancy testing lab or anything like that. We have decided to test those products for common uses. Sure, other people have other uses but for us, this list of tests seems to be enough. We have also included a list of the main things we do with fast adhesives here so you will be able to understand the reasoning for the tests. Sublimation (aka dye sublimation process ) or printing is so much fun! You actually get to print whatever you can imagine onto polyester (or stuff coated with polyester) and do it at your home/garage/basement. As long as you have the tools and materials the process is straight forward with little chance for failure. Yes, you might need some trial and error in order to learn the specific printer and press machine you are using but the method itself is easy. 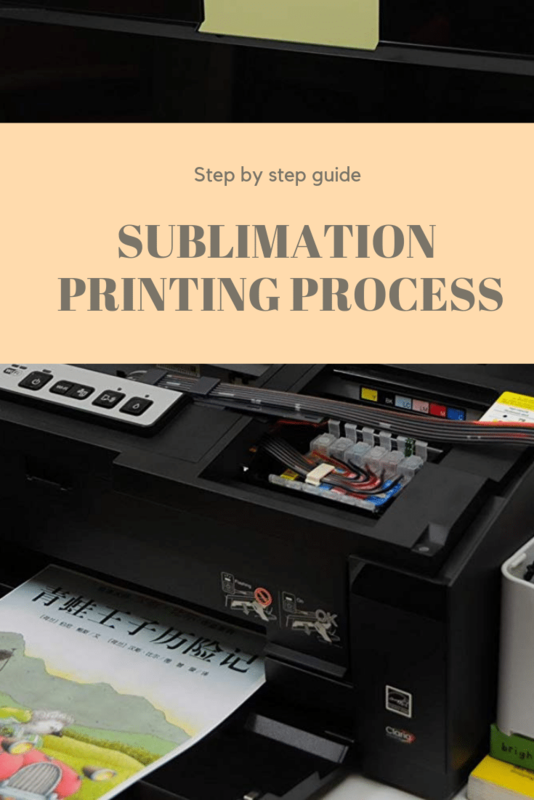 You might need a bigger printer or multiple runs with the press machines for different structures but all in all the process will be the same whether you perform it in your home basement or in a sublimation business.